With Foxtel GO, new customers can watch Foxtel content as soon as they sign up, without having to wait for their main service to be installed. Multiroom subscribers can now watch content on screens away from home with support added for Chromecast and AirPlay. Customers can also register Foxtel GO on multiple devices and watch on two screens at the same time. “Today, we’re bringing a familiar name back to our mobile app, Foxtel GO, and giving it a high-def makeover while adding the ability for our Multiroom customers to share it with big screens when you’re away from home. Foxtel is a great entertainment option for a family who can watch it together or rip it apart so each member of the family can watch what they want, where they want and when they want,” said Delany. “We got things started with our newly secured cricket rights that are set to bowl customers over with no ad-breaks during live play starting this November, and our recently announced 4K channel will bring the sights of sport, movies and docos to you like you’ve never seen this coming October,” added Delany. 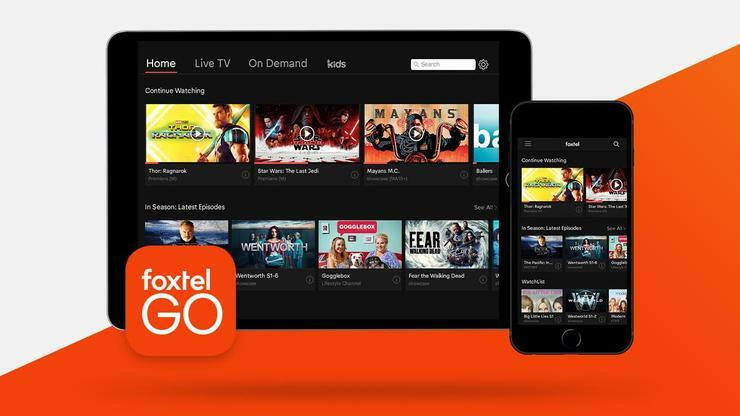 Foxtel GO is available for download on the App Store for iPads and iPhones, Google Play for Android smartphones and tablets, and can be watched on PC via the Google Chrome browser or on Mac using the Safari browser. For more information visit watch.foxtel.com.au.